Much of modern life—electric lights and power, the automobile, telephone, sound recordings and digital photography, to name a few—were born or evolved from inventions of the late 19th century and early 20th century. Names, such as Thomas Edison, Alexander Graham Bell and Henry Ford, are just a few of the legendary inventors and manufacturers that are responsible for these advancements. Another name that belongs in that group is George Eastman, the founder of the Eastman-Kodak Company. He didn’t invent photography, but the innovations of the company, under his leadership, and the many decades since his death, did lead to photography becoming an “everyman” hobby and a profession. Like many of the insightful minds of that period, Eastman came from humble beginnings. He worked as an office boy at the age of 14, and later as a junior clerk at the Rochester Savings Bank, to support his widowed mother and two sisters, one of whom was severely handicapped. His “Eureka” moment came at the age 24, when he was preparing to take a vacation to Santo Domingo. A co-worker suggested that he photograph his trip; however, Eastman quickly discovered that to do so would require a huge camera, tripod and various other pieces of equipment that were needed to develop wet plates, which were the photographic medium of the day. Instead of taking his vacation, Eastman decided to find a way to make it easier to take pictures. He discovered that British photographers had developed a method to make dry plates that could be used whenever the photographer wanted, rather than being limited to preparing wet plates every time he or she wanted to take a picture. It took Eastman three years to create a dry-plate formula; and then during 1880, he patented a machine that could make a large number of dry plates, and opened a third-floor office in Rochester. Now, he could sell them to photographers and free them from the burden of the wet-plate process in the field. Eastman’s goal could be expressed in a short phrase, "to make the camera as convenient as the pencil." To do so, he had to make another breakthrough; and he did with the development of roll film and a roll holder that replaced the glass plate holders in large view cameras. During 1885, Eastern American Film became the first transparent photographic "film." This, in turn, led to the first commercial transparent roll film during 1889, which was critical to the development of Edison’s motion picture camera during 1891. Eastman thought the small cadre of photographers of his time would rush to use the roll film; however, when they didn’t, he had another brilliant idea and that was to market his product to the general public. To make his company and products easy to remember, he created the word, Kodak, and registered it as a trademark during 1888. That same year saw the introduction of the Kodak camera. It was pre-loaded with enough film for 100 exposures, was easy to carry and pictures could be taken without the need for a tripod. The camera could be purchased for $25. Once all the film was used, the owner sent the camera to Kodak, where the film was developed, prints were made and a new roll of film was installed in the camera, for just $10. By 1891, photographers could purchase the first daylight-loading camera, no longer requiring a darkroom to reload film. To bring photography to the masses, Eastman also had to create large-scale manufacturing processes to keep the costs low. He succeeded so well that within eight years (1896), 100,000 Kodak cameras had been made. By this time, Eastman could sell his camera for just five dollars, but he wanted the price even lower, to one dollar, so more people could participate in photography. 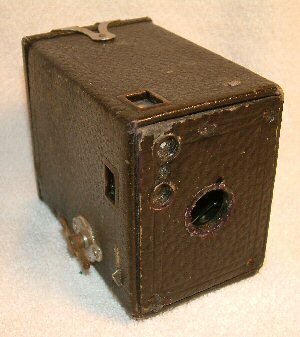 This work led to the first Brownie camera being introduced during 1900. 1898: Kodak’s folding, pocket camera, which is considered the ancestor of all modern roll-film cameras. It produced a 2 1/4-inch by 3 1/4-inch negative, which remained the standard size for decades. 1908: Kodak produced the world's first commercially practical safety film using cellulose acetate base instead of the highly flammable cellulose nitrate base. 1923: Kodak introduced 16mm reversal film on cellulose acetate (safety) base and the first 16mm motion picture camera and projector, bringing moviemaking to the masses. 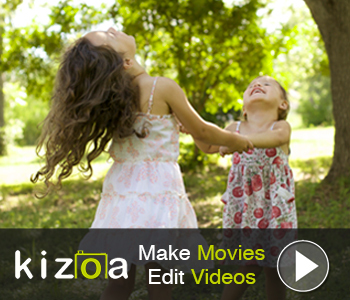 1928: 16mm color motion picture film. 1929: First motion picture film compatible with sound recordings. Read Part 2 of this PhotographyTalk.com article for the remainder of the story of Kodak.